Lester James Peries began his career in 1956. With Rekava he became Sri Lanka’s first professional director, of movies and not photographed stage plays. So simple and yet profound was the story of Rekava, so influential it was in gaining recognition for our dormant, static film industry, that no less a person than Mervyn de Silva, then writing to the Ceylon Daily News, put aside all historic and exogenous considerations, the fact that it was the 41st Sinhala film, and contended that it marked the beginning of our cinema. No film before it had strayed so remarkably from the confines of the studio, and no film before it had encountered so many troubles, logistical and otherwise. 19 films and 60 years later, Lester has gone down in history as the only local filmmaker who has attracted praise and censure from every corner of our critical fraternity: the intellectuals, the nationalists, the Marxists, the literary experts, the purveyors of feminist cinema, etc. In 1974 when Ahas Gawwa was released a pamphlet was published and copies of it disseminated. It was titled Appochige Sinamawa. Lester had fathered an entire generation of directors and scriptwriters and cameramen; they were now rebelling against him. He had hence bred, not slavish disciples, but independent artists. The truth is that Lester, who turned 98 this year, is the last reminder of 1956 and the revolution it inspired that we have. As Regi Siriwardena noted, 1956 was no accident, but the congruence of the political and the cultural was: the one aided the other. Lester hailed from the milieu that we the people were rejecting. So had his brother, Ivan. By resorting to a visual medium, they redeemed themselves in the eyes of their people. But there were times when those deficiencies showed, when the man seemed to ignore a key element of the milieus he was depicting in his work. It happened in Rekava, where you don’t come across a single temple. It happened again in the three epics he directed and particularly, among them, The God King. The writers in the press were tepid in their reviews, naturally. 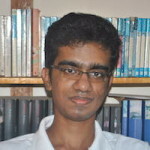 Jayawilal Wilegoda, considered the first real movie critic in the Sinhala media, castigated him for mindlessly imitating the West. (According to him, this was partly proven by the man’s penchant for featuring cars, something H. L. D. Mahindapala noted in his review of Ran Salu when he observed, wryly, that the camera seemed to be obsessed with those cars.) But these critics belonged to a certain class, a certain category. The most devastating critics of Lester didn’t come as nationalists and intellectuals. They came as Marxists and literary purveyors. With respect to the Marxists the problem is easier to understand. The election of a socialist government, the intrusion of the New Wave and the cinema of East Europe, as well as two insurrections that almost brought the country to a standstill proved to be too much for any critic who looked for a sign of commitment and secular upliftment in a work of art. Lester’s films did not, as I noted before, satisfy these parameters and yardsticks. They ended right when the poor and the wretched were about to suffer more (as with Akkara Paha, which culminates with Sena and Sandawathi departing to a life of destitution); they didn’t tell us how the poor and the wretched could tide over their suffering, rather that they were destined to suffer. The French, even at their most political, knew how to end their films in idiosyncratic flourishes and swipes (think of the ending of Breathless, where the dying Michel has just one thing to say to Patricia, his former fiancée: “You’re a real scumbag”), but the East Europeans were defeatist, adamant that their characters claim destinies they could never control. The Marxist critics looked for such characters. Lester couldn’t provide them. He hence became a betrayer. In the seventies when these critics rode on a high wave, they were at their peak. Regi Siriwardena frequently implied that they wanted the cinema to be politicised the same way the theatre had been. The political theatre is a vassal of ideology, whatever ideology, and the theatre of the left tends to confuse symbolism for reality and resort to explicit add-ons to depict a particular social context. It was this kind of climate that prevailed in our film industry, though unlike many other left-leaning countries it survived: the truth is that after Dharmasena Pathiraja we never had a Mrinal Sen of our own. Pathiraja created a new standard, but only he could be measured against it; no one came close to him. Lester’s standards, on the other hand, spread more widely. He didn’t indulge in political polemics, but even without indulging in them he had liberated the industry. The seventies didn’t go beyond Pathiraja, hence. It instead nurtured Vasantha Obeyesekere and H. D. Premaratne, both of whom conceived, not a political cinema, but a middle cinema. The political left continues to inhabit and make the waves in our film industry. That is its greatest virtue and worst limitation, because our independent cinema is considerably hegemonised by a left-of-centre political sphere. Our art-house film movement never really picked up owing to this, barring the early work of Asoka Handagama, because no political cinema can survive on symbols and allegories and explicit add-ons without compromising on density. Some of the movies that directors like Handagama make are extraordinary, and they are the result of decades of experimentation, but they are far, far away from the technical craftsmanship of the old masters. Even at their worst, a mainstream Sinhala film retains a welter of formality which the art-house director lacks. The political left’s most powerful contribution to our film industry was the independent movement, but what it lacks in this respect has been its undoing and has hindered it from reaching a local audience. It survives, as always, on private donors and film festivals. But it’s not just the political left or political theatre that has hindered the birth of an honest independent cinema movement. It’s also the literary purveyors, the intellectuals and academics who tend to either put down the cinema or assess the worth of a movie on the basis of its fidelity to qualities that are more suited for a book review. These are the critics who lambasted Lester and A. J. Gunawardena over Baddegama. The debate over the equivalency between two modes of narratives – moving image and prose fiction – has, as Gunawardena himself observed, largely grown obsolete in other countries, but in Sri Lanka, owing perhaps to the dominance of Romantic and Edwardian standards of literary criticism in our English Departments, it has persisted. 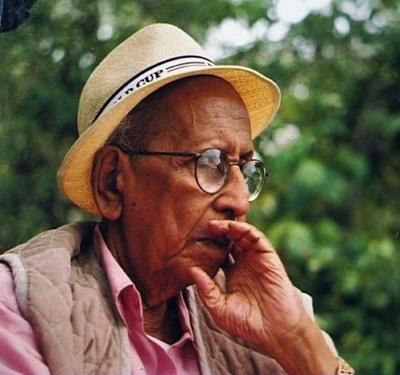 Lester was a literary-minded director – he adapted several works of Sinhala fiction, all of them landmarks for their time – but even this was not enough to salvage many of his works, particularly with respect to the Koggala Trilogy, from criticism at the hands of those experts. Apart from these critics, the man stoically endured years and decades of criticism. He raised some flak among nationalists and intellectuals (especially Jayawilal Wilegoda) but they were transitory, because their standards could and did change. The political left and the literary intelligentsia were not malleable this way, because their standards remain stubbornly present in our cultural spheres. That he lacked commitment, that he lacked enough foresight to keep to the letter and spirit of a literary masterpiece, have been two of the most frequently cited indictments against him, over the years and including, I must add, his penultimate film, Wekanda Walawwa. They deserve to be answered, elsewhere, in full, because in those indictments we can infer Lester as Cooray’s lonely artist. “But aren’t all artists lonely?” Tissa sceptically asked in an essay on his erstwhile guru. The answer to that, of course, is yes, they are, but that with this artist it was a different story. Lester turns 99 next year. There are others younger than him, who’ve made more films over a fraction of the time it took for him to make his. That’s a tragedy at one level, but a blessing at another. For the films he made, though intermittent, were awaited and watched eagerly. Rekava was a leap of faith. But like all leaps of faiths, it wasn’t vindicated immediately. Sandeshaya was a hit, but that wasn’t really Lester. Gamperaliya, Delovak Athara, and Ran Salu weren’t hits, but they recouped at the box-office. And then, Golu Hadawatha, his sixth, won an entire nation to his side. Yes, it took some time. But that’s how icons operate. They are patient. Never in a hurry. And in the end, this gentle human being, who was never in a hurry, took his time and proved to us, in his own special way, that one can never assess the worth of an artist by a fidelity to arbitrary standards. Whether they were manufactured by the Left, whether they were disseminated by our Universities, they remained standards that did not require their designated targets to be their vassals. Perhaps Lester himself offered the most appropriate response to them all: “They work with symbols. I work with human beings.” He told this to me two years ago. Two years on, our filmmakers continue to work with symbols. They were inspired by him, but failed to retain that quality which defined him. They were all students who wanted to imitate, but they all repudiated his élan, his zeitgeist. What Is This “Change” We Say We Want?